Breakfast – an important start to the day in anyone’s hemisphere, but in Chain land it is vital – assess body and mind, assess how everyone is travelling, and assess the stock-standard Hotel/Motel fare that is served at every Hotel/Motel in the world: cereal, fruit, bacon and eggs, coffee, coffee, coffee. It is folklare that the majority of riders come back with a few kilos extra when that weary body is put on the scales. Food is energy, and that is what we need in abundance. 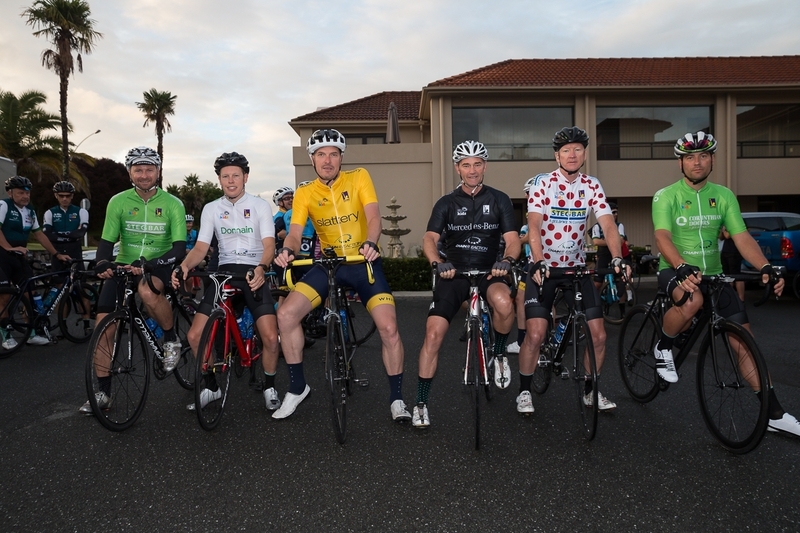 This morning it was a relaxed, confident peloton that shared the camaraderie of the last 6 days and nights. However, there is always apprehension, enhanced this morning by Tim Chadd’s warning that “Day 7 is going to be tough”. As well as Tim’s advice and warning last night, we were delighted to be MC’ed by Andy McCann, the leader of the Jellis Craig team. He introduced his topics, with his usual deadpan wry smile. He confidently advised us that the Jellis Craig was the closest thing to heaven, encouraged all to apply for “membership” of their team next year, and then allowed his new team members to elaborate as to why they have embraced the Chain Reaction Challenge. From youngest rider, Will Cooper, to the more gentrified Anthony O’Halloran, their reasons were many and varied, but the principal theme of helping those less fortunate than themselves was paramount. Jersey presentations then followed, and in fact Will and Anthony were the respective recipients of the White and Polka Dot. 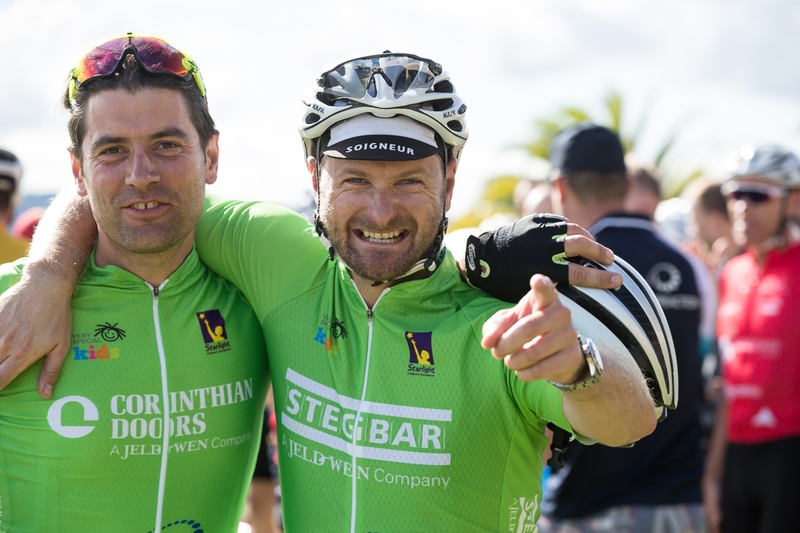 Both, simply, have “got” what Chain Reaction is about, and have both ridden and fundraised with a passion. Next was 3 time rider Frazer East, who received the green jersey. 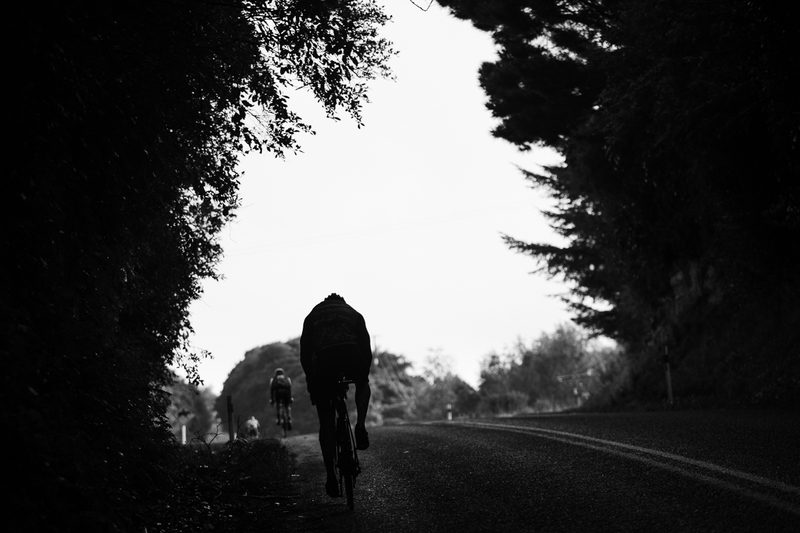 A member of the PwC team, he is one of those sensitive, caring riders in the peloton, and a prodigious fundraiser to boot. A Chain Reaction would not be complete without a recognition of our Founder, Berrick Wilson, who was awarded the Mercedes Benz black jersey. 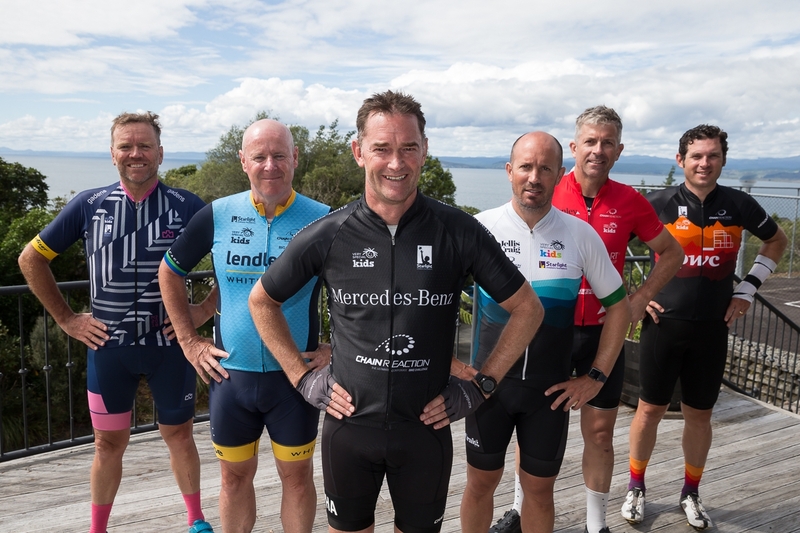 Mercedes Benz Australia have been a major provider of vehicles to Chain Reaction over the last few years. They provide no fewer than 6, yes, 6 brand new vehicles each year to ensure we are safe on the road: front, rear, mechanical and support staff vehicles are all vital, and enable our hard-earned funds to go to our deserving charities, rather than as a cost of the ride. Chapeau Mercedes Benz Australia ! Back to last night, and the final awardee of the Yellow jersey. 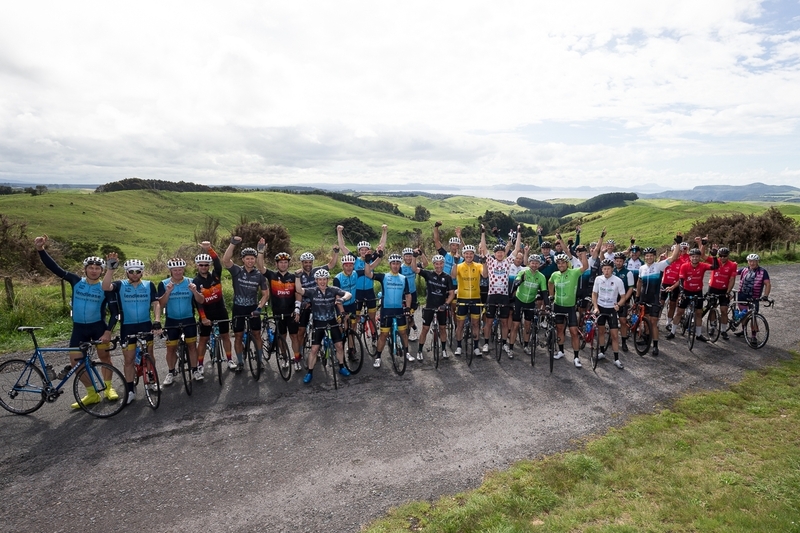 Big in stature, and bigger than life itself, Peter (“Rex”) Hunt, a member of the Lendlease/White&Case “Big Show” team, proudly accepted the Yellow jersey, and lead us out and in on our last day. Finally, Mr. McCann could not finish without tossing in a new addition to the evening presentation – a second green jersey, awarded for the first time, to our resident Swede and “weight to power” expert (according to him! ), Emil Foller. So it began, our last day. I must say, the little spikey profiles they give us as an indication of the day’s topography never tell the story. You simply cannot tell how steep, or how long a lump, or bump, or pinch, or roller will be until you face it in all its “full frontal” glory. 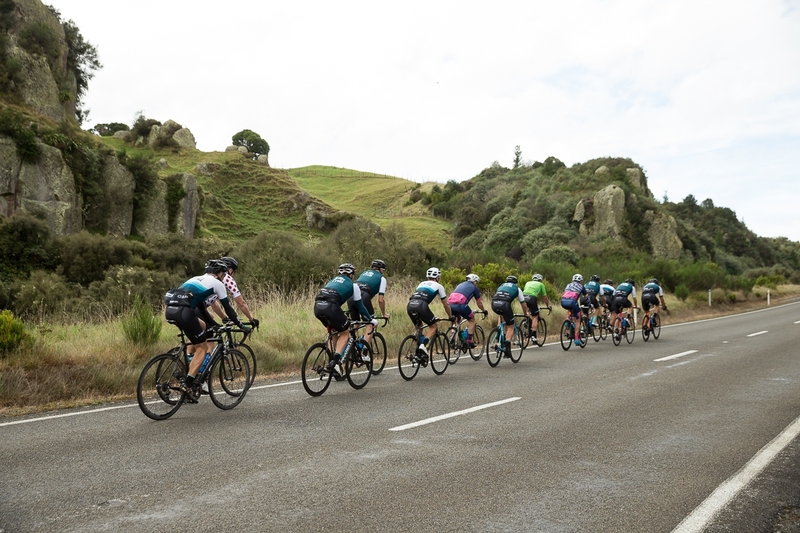 A slow and tough rollercoaster of a start to get out of Taupo proper soon opened to a vista that was for many of us more akin to our past Victorian experiences. Gone were the mysterious hillocks and outcrops, the high hedges and the strange and unfamiliar farming techniques. Now the countryside resembled rolling Gippsland pastures, or King or Ovens Valley farmland. Cows and even, finally, flocks of ….sheep ! But enough of the views, coz the opening of the vistas also meant the opening up of the roads. We were subjected to relentless, long, very long, rollers. They were major extended rollers, first slowly up, then gear up and push a hard gear down, then repeat, and repeat. It was a tough Chain morning, universally agreed by those experienced peloton riders as one of the hardest in Chain history. 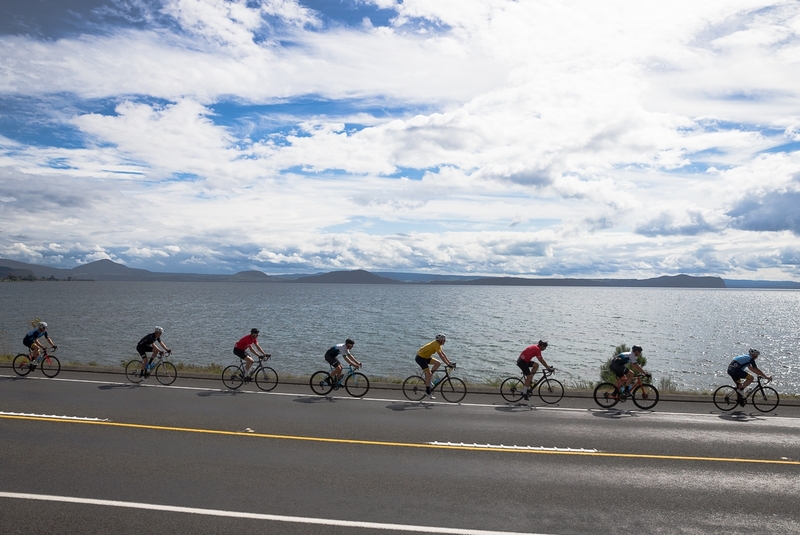 The stop by Lake Taupo in Kinloch was a great relief from the constantly undulating terrain. The lake is dotted with little fishing villages, with boat launching ramps and coffee shops, and a few boats moored offshore. Thankfully they provided us with suitable stopping points along our final journey. We have different ways of riding Chain, depending on terrain and our Ride Director’s whim and fancy. From morning stop to lunch we rode in our teams, keeping a constant pace over the still major rollers. We arrived safely, after 110 kms. into Oreti Village Resort for lunch and spectacular views of the Lake. We consumed our “last meal” of wraps, salads, box drinks and Coke before setting out to nail the last 60 kms of our journey. By now we were at the bottom of the Lake, and turning North Easterly back towards Taupo. A (fortunately) light breeze off the Lake slowed our progress a touch, but by now the peloton smelt “home” and not even Hatepe Hill could slow our progress. 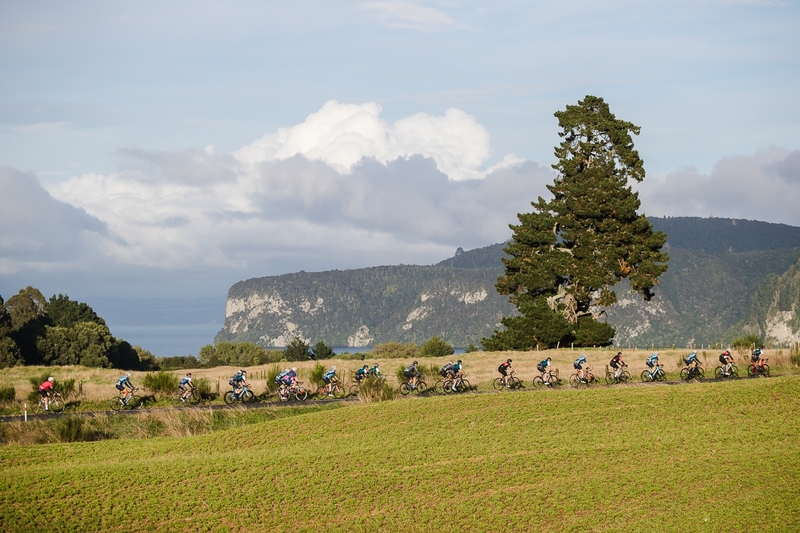 Rounding over the hill, and the view of Taupo in the not–too-far distance, meant the volume in the peloton raised, “well done”, “tough week”, “amazing experience”, “where next year." This group of riders have excelled. 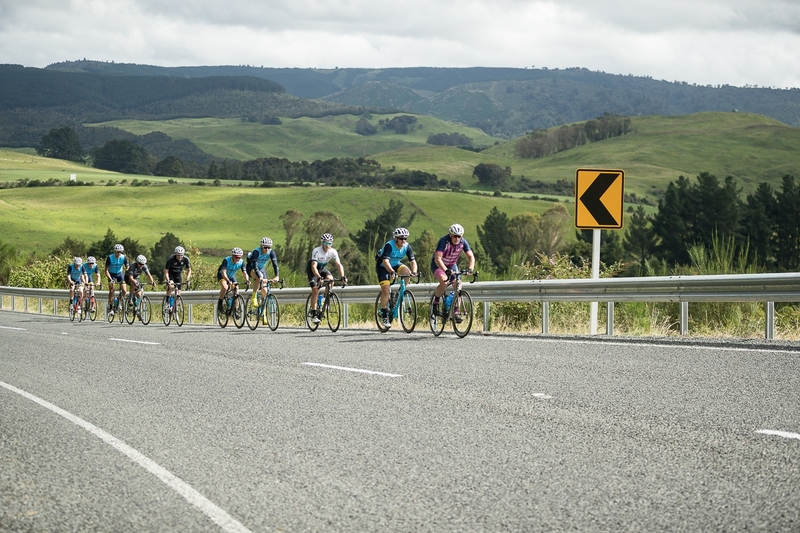 They have accepted the challenge of an extremely tough, wonderfully vibrant course, and come out with massive smiles and congratulations to each other, as hugs and handshakes were exchanged on the edge of Lake Taupo, with a brilliant sun welcoming and also congratulating us. In a brief “mechanical” moment in the car, Johnny "the Swanny", and Nashy, our brilliant bike surgeon, advised that this had been a brutal Chain ride on our metal and carbon steeds. No fewer than 45 flats repaired, 7 spokes “popping” (meaning dead wheels), and 4 cables damaged beyond repair. New Zealand North Island roads lived up to their reputation, but this mob was a resilient group who took all before them. Congratulations to the Victorian class of 2018! Stats :- Distance 171.2 kms, 6 Hours 33 mins on the bike, over 2,100 metres climbed, and 1 amazing experience!